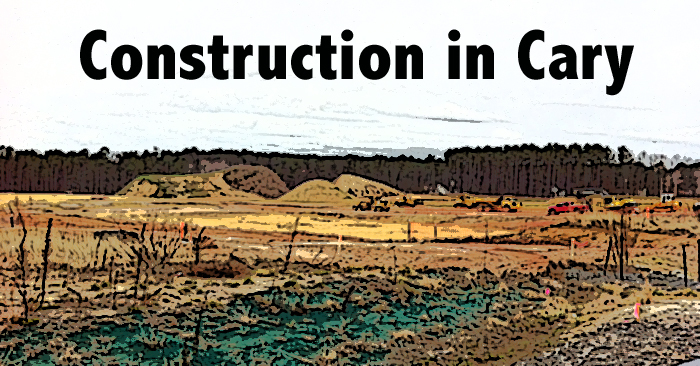 I recently wrote about the new development at Bradford, and folks seemed to like the insight and updates on new construction in Cary. So, in keeping with that previous post, I thought I’d give an update on a project that will be one of the first in the Alston Regional Activity Center. The Alston Regional Activity center is approximately 970 acres located at the northeast corner of the intersection of NC Hwy 55 and Interstate 540. 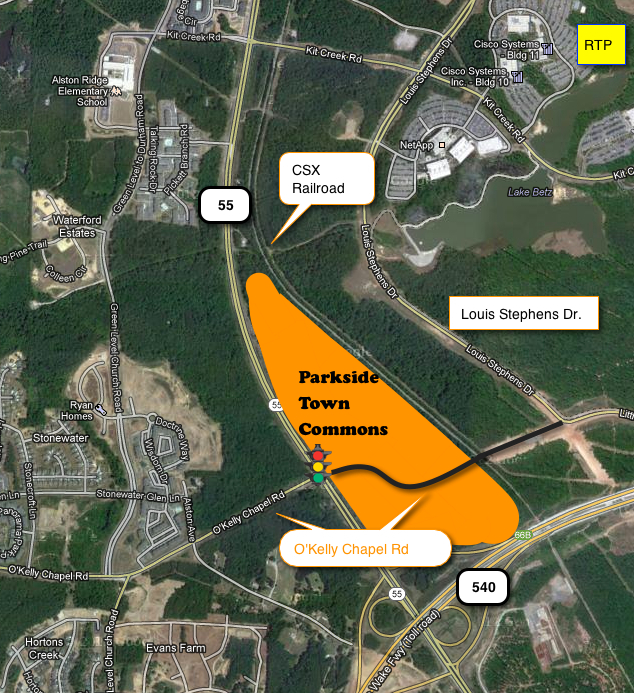 The Town believes that this area will be a big attraction due to its proximity to RTP, and quick access to local roads and interchanges. In 2006, the Town Council created a special Mixed Use Overlay district as well as an Activity Center Concept plan to help guide development in that area, and one of the first developments to move forward is Parkside Town Commons.